As you may be aware that Abqaiq Aramco are conducting an Invitational Tournament. As per our information we have found most of the EPCA teams are participating. 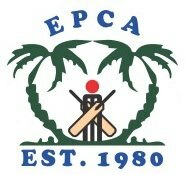 However, we have not received letters from the clubs seeking our approval / permission from EPCA. ( those clubs who have obtained already please ignore). Please be informed that It is a must from the clubs to seek approval prior to participation. Kindly ensure that your player obtains approval. Also be informed that if player are found participating without approval will be liable to face the decision as per our book. This is for your information and action deemed necessary.